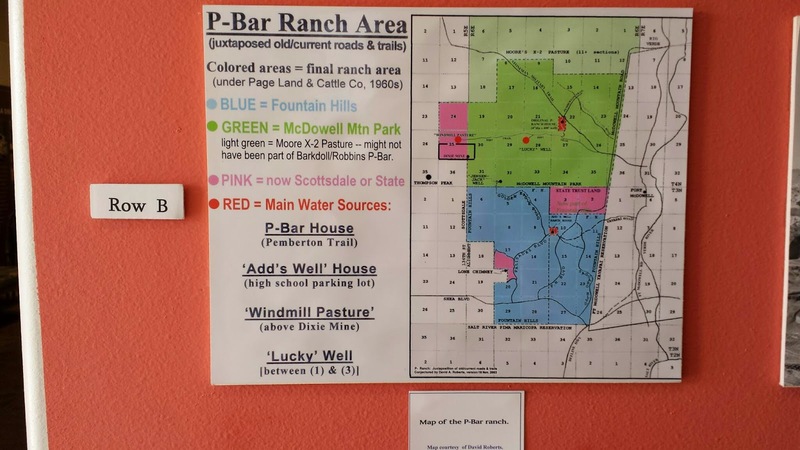 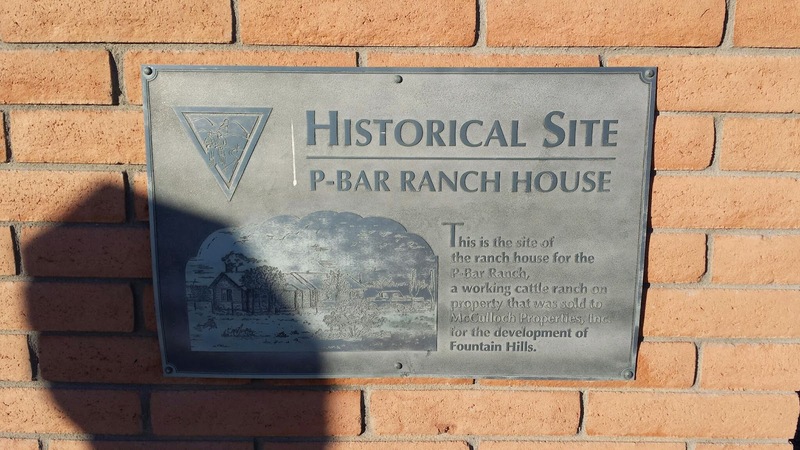 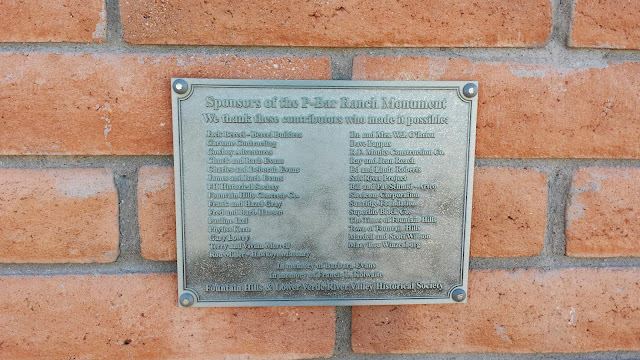 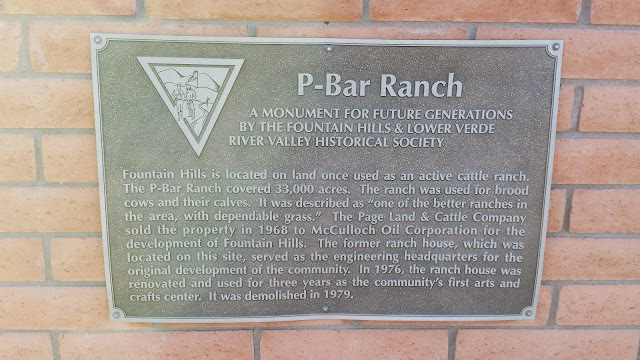 When I was in Fountain Hills, AZ this past weekend, I decided to stop by the site of the P-Bar Ranch. 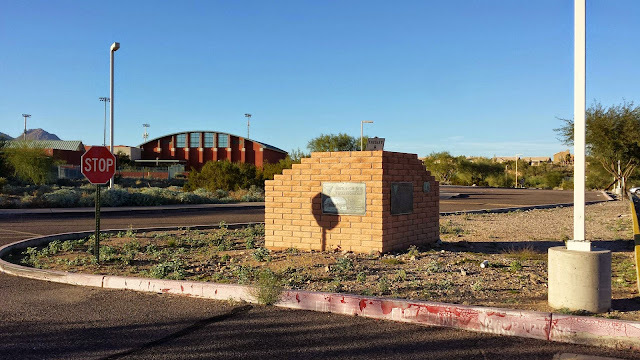 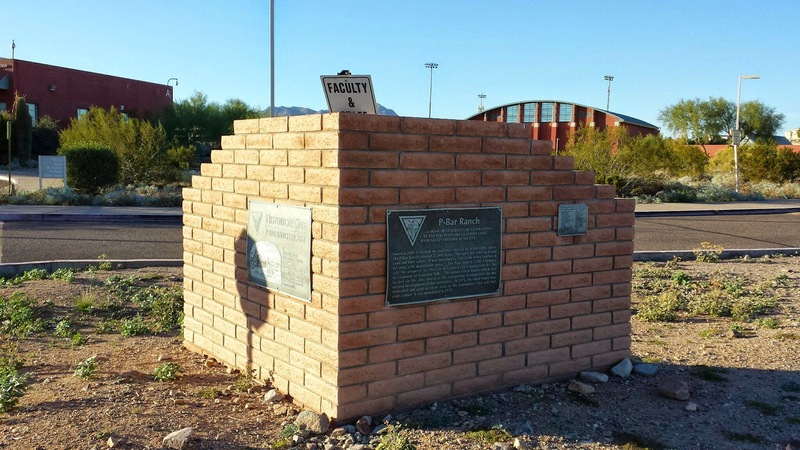 A monument was erected in the parking lot of the Fountain Hills High School to commemorate the former location of this ranch house. 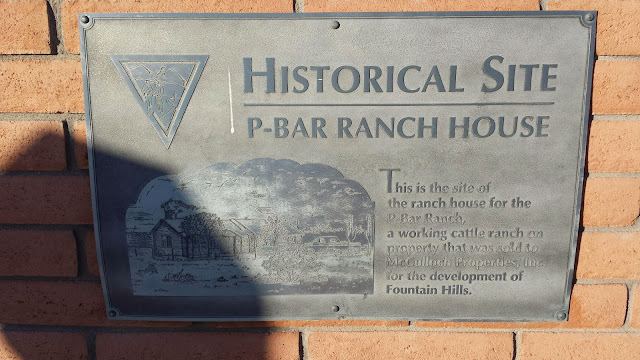 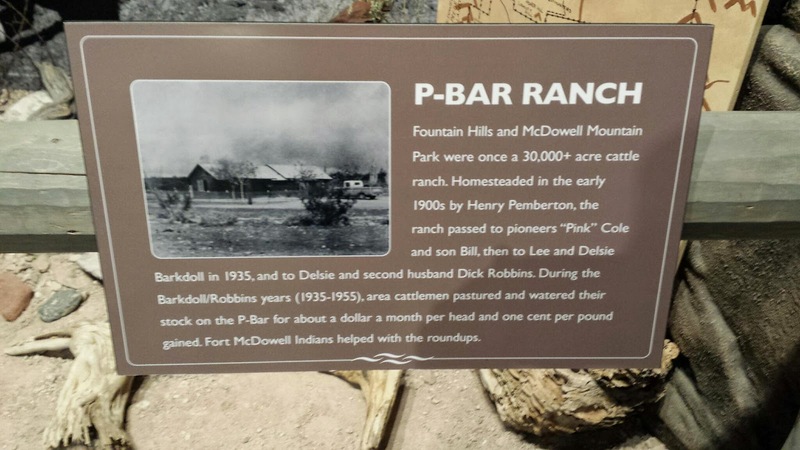 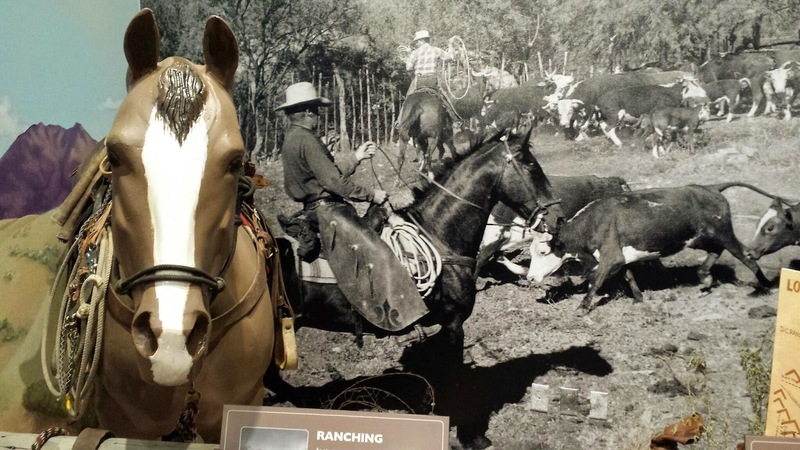 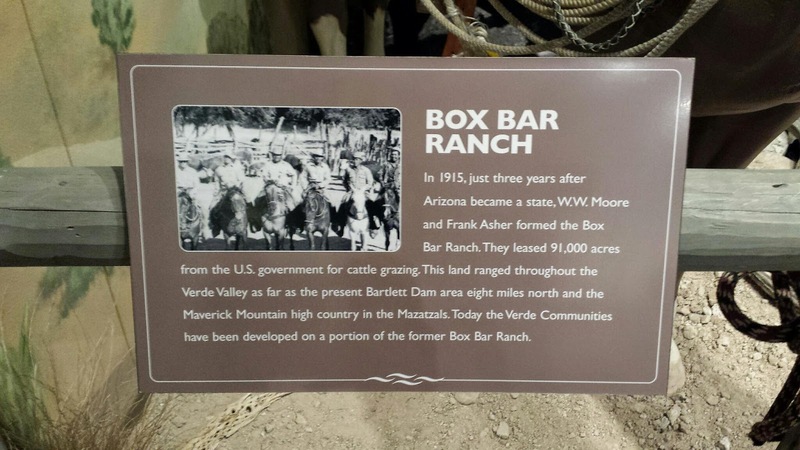 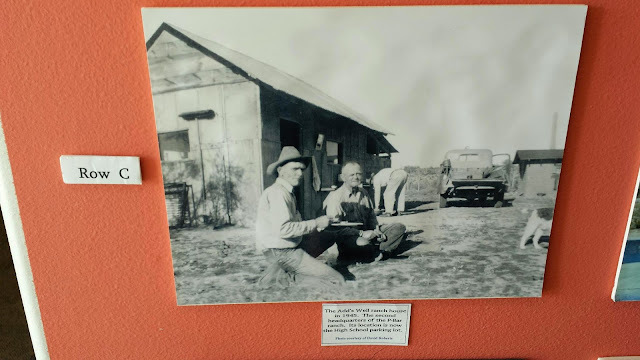 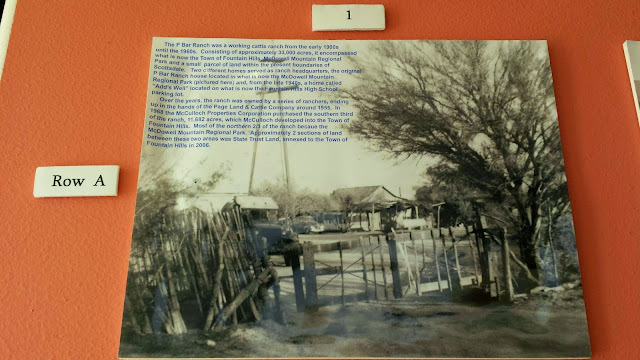 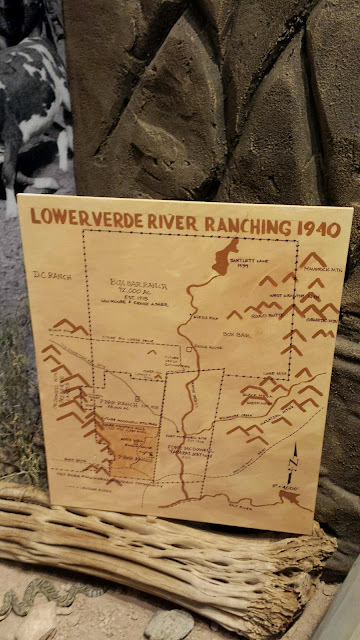 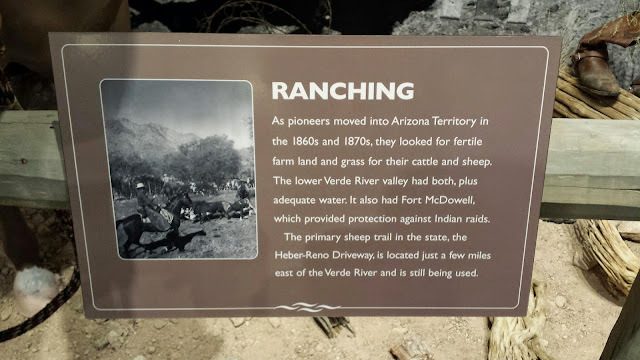 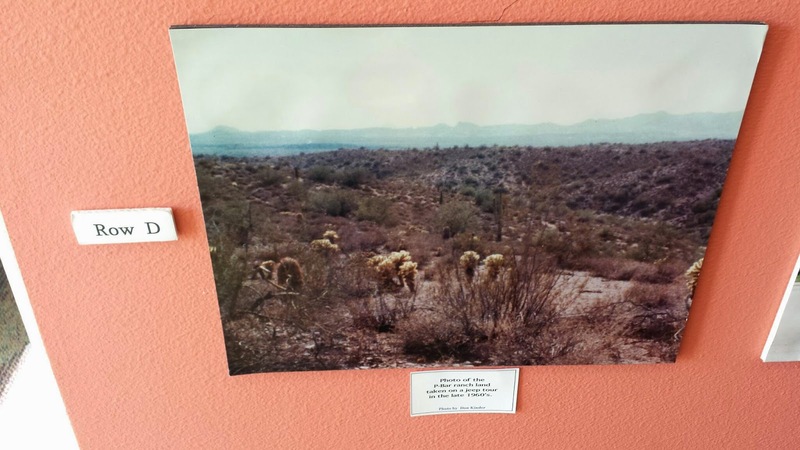 The P-Bar Ranch had a significant impact on the town of Fountain Hills as the town is now built on land which was once part of this ranch.